SAN CLEMENTE, CA – Co-presidents Juliette Clark and Sam Bregman pose with their sign at Club Rush. To say Club Rush was a frenzy is an understatement. However, in the midst of it all, three seniors stood proud and tall, unphased by the swarms and confusion. These noble souls – Sam Bregman, Juliette Clark, and Spencer Currie – are the masterminds behind the Card Game Club. To some skeptics out there, it may sound like a snooze-fest; simply playing boring card games in a room with a bunch of other high schoolers you may or may not know. In reality, the club is so much more. The founders’ favorite card game is Ratslap, also known as Egyptian Rat Screw, a game that, to put it simply, involves players taking turns putting down cards, slapping cards that have the same value as the previous one, and getting bruises if you or your friends are wearing rings while playing. However, the meetings will consist of many different card games, and members are encouraged to suggest new games in order to create a feeling of inclusiveness and a sense of camaraderie as members have fun learning them. 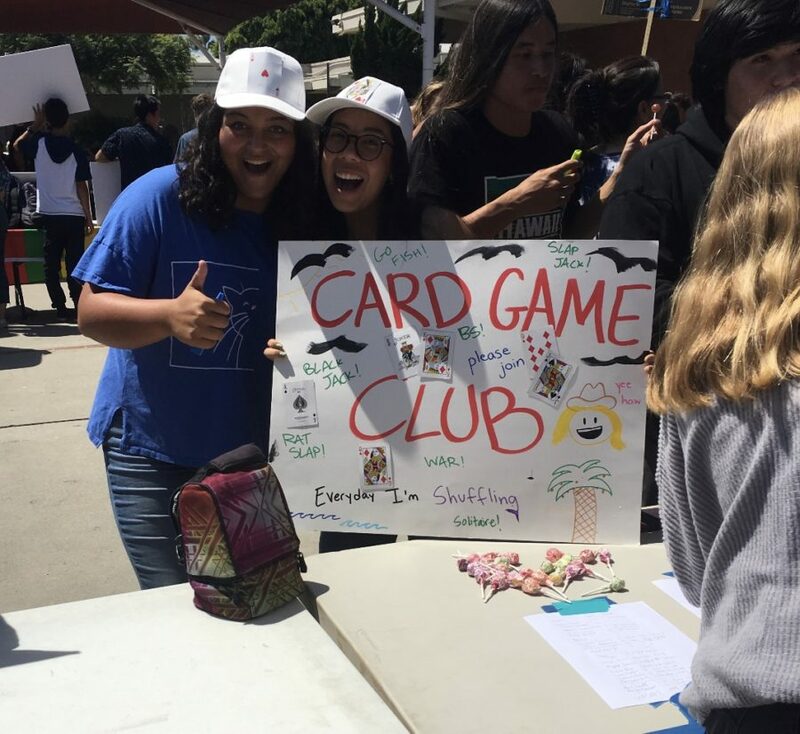 Though simply playing cards is nothing new, the Card Game Club brings a fresh new perspective to what a “club” really means on campus!